This week AESU highlights some memorable Dutch authors, like Willem Frederik Hermans and Harry Mulisch. The Netherlands, aka Holland, is known for windmills, tulips, canal cities and some other stuff… But we bet you didn’t know that some of the world’s greatest writers have called Holland home. This week AESU highlights some memorable Dutch authors. Hermans was an existentialist author with a writing style unique to Dutch authors. His short, staccato sentences are well suited to the bleak subject matter of his writing. Hermans writing is undoubtedly influenced by his experiences in WWII and his struggle to come to terms with them. A recurrent theme in Hermans’s writings is a discrepancy between the way the main character sees himself and the way society views him. Most characters are rather troubled by this, giving his writings a melancholy tone. Existentialism is inescapable through all of his works and even his more upbeat writings have an existential twist in them. Hermans was awarded the Prijs der Nederlandse Letteren, the most prestigious literary award available for writers in Holland and Belgium. Bruna is not only an author but an artist! He has published over 120 children’s books and illustrated designs for over 1000 book covers and posters. Bruna is best-known as the author of the Miffy children’s books. Miffy is a young, cartoon rabbit and she goes by the name Nijntje in Holland, pronounced nine-che. Nijntje name is derived from the Dutch word konijntje, meaning little rabbit. Miffy books have sold over 85 million copies and have been made into two television series and a movie. If you were a Hello Kitty fan, you should definitely check out Bruna’s works. Many speculate that the Hello Kitty designs were based off Miffy and Bruna’s other characters. Mulisch is known for his novels, essays and plays. His writings usually centered on WWII but he also enjoyed incorporating mythology and legends into his works. His book, The Discovery of Heaven, is considered by many to be the best Dutch book of all time but it is one of his other novels, The Assault, which has gained international fame. In 1986 a movie based on The Assault was made and it won an Oscar and Golden Globe! Anne Frank is an author many are familiar with and even though she was born in Frankfurt, Germany, she lived the majority of her life in Amsterdam and as such, many consider her to be a Dutch author. Frank’s diary, “Diary of a Young Girl,” chronicles her life in hiding during the German occupation of Holland from June 12, 1942 until August 1, 1944. Frank’s father published the diary after her death in the Bergen-Belsen concentration camp. It has been translated into over 60 languages and was adapted into a play and a movie. AESU offers unique, exciting travel programs for college students and young professionals at affordable rates. Each trip is action-packed and informal—designed just for people your own age. We offer several tours that to the Netherlands, including Euro Focus, Great Escape, Euro Spree, and Live In…Concert Tours. 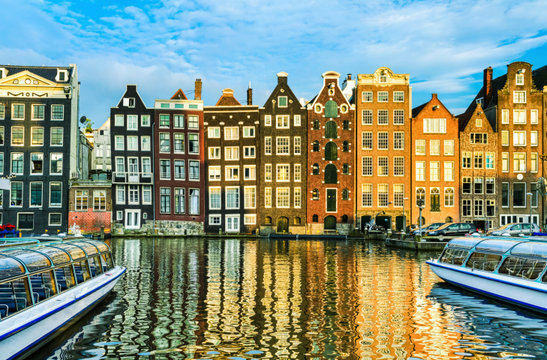 Want help booking one of our Discount Netherlands Vacations? Please contact AESU by calling 800-638-7640 or fill out the contact form found on our website. And don’t forget to check out all of our great Travel Tips, especially the Travel Tips for Europe, before you head overseas. This entry was posted on Thursday, July 30th, 2015	at 6:11 pm	. You can follow any responses to this entry through the RSS 2.0	feed. Both comments and pings are currently closed.